It’s exciting times in Orlando within the world of tech! This year’s inaugural Orlando Tech Week takes place from September 27th – October 3rd and will feature over a dozen events and activities. 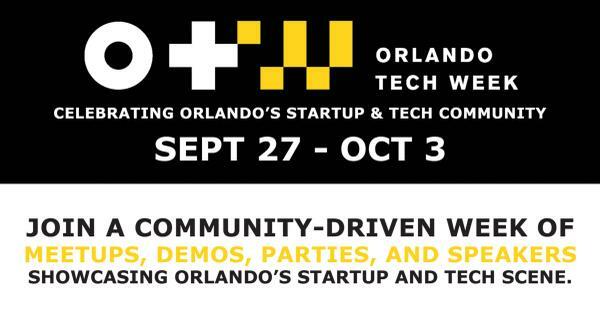 Orlando Tech Week is a community-driven week of meetups, demos, speakers, parties, and more to showcase Orlando’s burgeoning startup and tech scene. 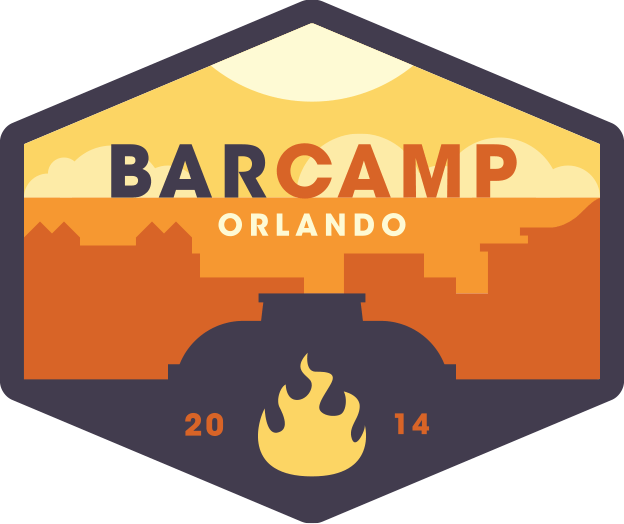 Kicking off the week on Saturday, September 27 is BarCamp Orlando at Church Street is a full day of community knowledge-sharing on any topic imaginable. Attendees from a variety of backgrounds get together to network, share, and learn from some of the most talented individuals in Orlando. Join to present and share, or attend a presentation on a topic of your choice. Make sure to get there early if you want to give a talk. Monday, Setptember 29 & Tuesday, September 30 is iSummit presented by Florida Technology Journal at Church Street, which will bring together experts from leading brands who present and discuss topics that span all interactive media and Internet business models, including; Social Media, Mobile, Gaming, Crowdfunding, Big Data, Apps, Venture Capital, Online Brand Engagement, Search, Commerce, Digital Economy, Industry Talent, Cross-Platform Marketing, User Experience, Lead Generation and much more. Some of the speakers during the conference include Buddy Dyer the Mayor of Orlando, Chris Crayner the Senior Vice President of Integrated Media & Digital at NBC Universal, Jeff Hoffman the Founder of Priceline.com, and Robyn Peterson the Chief Technology Office of Mashable. Lunch time learning on Tuesday, September 30 with Processing Orlando: Art, Gadgets, and Tech from 12pm-1pm is an art & tech meetup that explores creative coding, generative design, data visualization and media art. We love sharing the power of programming with creative people from all disciplines – artists, musicians, performers, architects, scientists, designers, craftspeople, tinkerers, makers and hackers. The evening of Tuesday, September 30 is Schwartz Tech Awards at the Orchid Gaden honors companies and individuals who are advancing the technology industry in Central Florida. This revamped cocktail reception and awards ceremony is a program of the Metro Orlando EDC, in partnership with the Orlando Tech Association and the Florida High Tech Corridor. 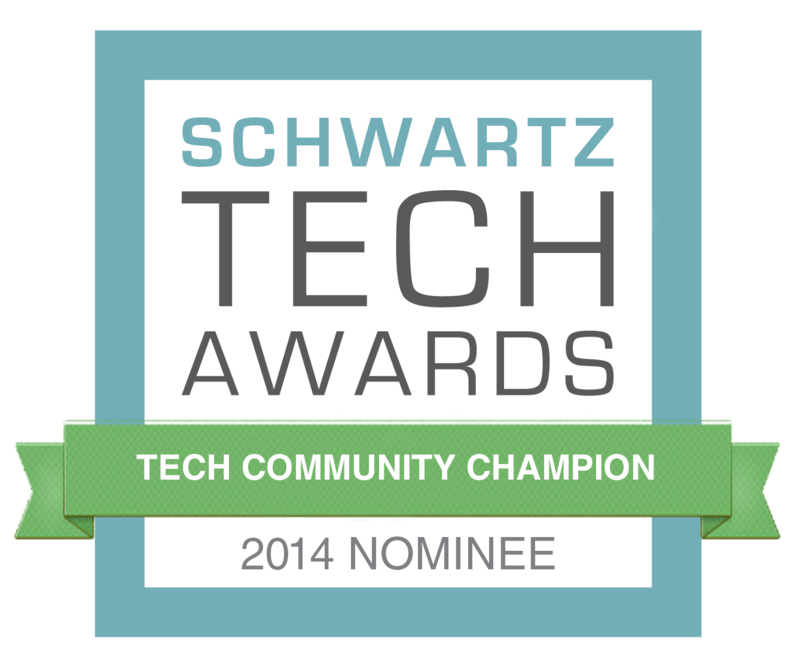 I’m actually a nominee for the Tech Community Champion award! Wednesday, October 1 is 1 Million Cups Orlando at Rollins College from 9am-11am is a simple way to engage entrepreneurs in communities around the world. Each week, the 1MC program offers two local entrepreneurs an opportunity to present their startups to a diverse audience of mentors, advisors, and entrepreneurs. Presenters prepare a 6-minute educational presentation and engage in 20 minutes of feedback and questioning after they present. Lunch time learning on Wednesday, October 1 with Equity Crowdfunding at Chruch Street 12pm-1pm with Ryan Feit, CEO and Co-Founder of SeedInvest, a leading equity crowdfunding platform, who will explore the current crowd funding landscape. Wednesday, October 1 is Startup Showcase at Ceviche Tapas Orlando 6pm-9pm This casual VIP event at Ceviche Tapas Bar & Restaurant is dedicated to networking between Orlando business execs and some of our City’s most promising startup companies. The Showcase provides a great way for the tech-curious from any area of business to learn more about emerging companies and the talent present in the Orlando area. Thursday, October 2 is the Lowcountry Boil and Orlando Tech Meetup at the Lake Eola Amphitheater 6pm-8pm is a featured event with a strict no-ties-allowed rule, unless you plan on using that tie as a napkin. Tech Meetup is taking over the Lake Eola bandshell to celebrate a great Southern tradition. Techies and other members of the Orlando community will get together to sip beers, talk tech, and geek out while listening to great music and feasting. All are welcome to the Orlando Tech Meetup but to eat your must get a ticket. What’s a lowcountry boil? A feast of pork, sausage, shrimp, corn, and potatoes all cooked up together and served on newspaper typically. Finish Orlando Tech Week is the T-Party at The Venranda from 7pm-10pm with a no t-shirt equal no entry rule. Photo booth, crowdsourced party playlist, tasting adult beverages, and most awesome t-shirt contest! Looking for a party pass deal for the Startup Showcase, Lowcountry Boil Orlando Tech Meetup, and T-Party? Use the code “Orlando Tech” to get a $10 discount because you are just that awesome! I’ll be at many of these events, make sure to say hello and get a selfie with me.